Mangowale.com is conceptual marketing activity by Rainbow International a leading Import Export house and well established organization to support Mango farmers especially in coastal region of western India. We support them by giving exposure for latest international hi-tech farming techniques to increase the yield and quality to make their produce of international standards. As a result of our continuous interaction with the farmers we realized that the major benefit goes to the middle agencies. If the farmer has to get good returns for his best quality produce there is a need to establish platform to facilitate mango growers to have a direct link with the end customers. “It is the quality that matters” is our watch word in fact our interaction with the farmers started with quality. We gave exposure to the farmers on international quality by organizing workshops and seminars of the eminent personalities from India and abroad. Good farming techniques, proper use of fertilizers and irrigation resulted in to the quality yield. The king of the kings Alphonso Mango is very notorious fruit. At most care is taken to handle this product to maintain its quality. At our collection centers in Deogad and Ratnagiri harvested mangoes are treated with cold water and hot water treatment to identify faulty mango. To make the product most hygienic we use unique technique of Biosafe treatment to reduce residues of harmful pesticides & fungicides used for spraying. Currently, to accelerate the Mango ripening by & large Calcium Carbide is used. The Taste & Aroma of the Alphonso mango badly affects due to the use of Carbide. It is unhygienic & highly toxic; hence it is hazardous to human health. Thanks to the new technique developed by Dapoli Agriculture University for scientific ripening of mangoes. We use the ripening method recommended by the University. We have around 5000 Sq.Ft. pack house at Pune wherein we have ripening chambers as per the recommendation specified by the University. Ethylene gas is used in ripening chambers to accelerate ripening. We have artificially maintained the ideal climatic environment required for the mango ripening by controlling Humidity above 75% and Temperature between 28-30 0C. With this, the notorious mango fruit received from our collection centers at Deogad and Ratnagiri does not undergo heat shock due to high summer temperature and low humidity at Pune. This results in natural ripening to maintain the color, taste and aroma of Alphonso. Ready for dispatch mangoes are then packed into an attractive and easy to carry packing in quantity of Six, Twelve & Twenty Four Pieces. Brand needs advertisement. Large scale promotional efforts are taken to promote the brand. Initially Pune city is chosen for marketing. We have more than 16 retail outlets in various regions in Pune city. Every retail counter has a delivery van and a promotional van. Orders book on website and phone calls will diverted to respective sales locations via our telecaller network. Our prompt delivery boys will home deliver this quality product to you. Promotional cabs will bring the product at your door steps at frequent intervals. There is one more facility, NRI’s can make there parents, friends, relatives happy by booking order on our website. We will make your beloveds happy by delivering your precious gift to them. Ayurveda also recommends fresh, squashed mango pulp to beat the summer heat. 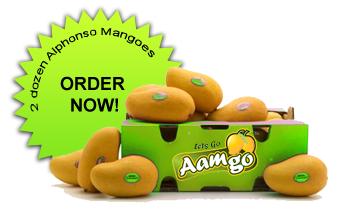 Go ahead and book your order on our website www.mangowale.com or visit our retail counter or just dial our telecaller for order booking.